There are no solved problems listed on our records for this computer cooling. To submit a problem or give a solution for an unsolved problem, please see the list on the right. There are no unsolved problems listed on our records for this computer cooling. To submit a problem or give a solution for an unsolved problem, please see the section below. All problems on this page have been submitted and answered by users. 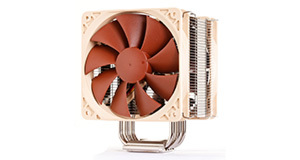 If you have a problem with Noctua NF-F12PWM Case Fan 120 mm, please submit it below and we'll post it here. If you have a problem and the product is under a year old, contact your retailer to arrange a repair or replacement. Under the Sale of Goods Act, you should be covered for at least a year and maybe longer. Ensure you check carefully all connections before you contact the manufacturer - you want to be sure the product itself (and not the way it has been connected) has a fault before you do anything drastic.